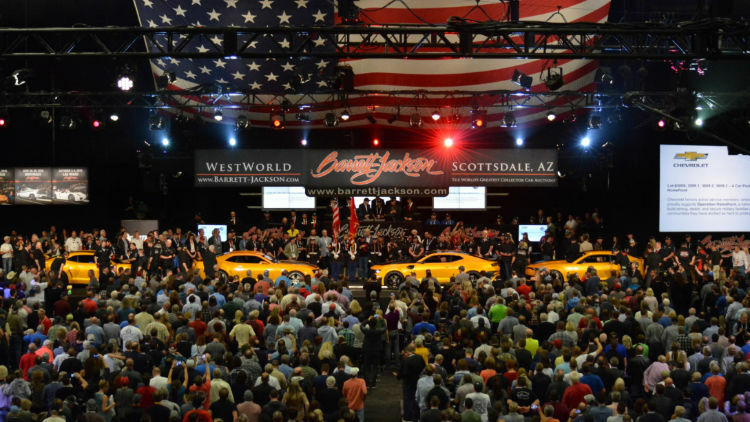 Barrett-Jackson sold 16 cars for charity during the Scottsdale 2019 auction including a 2019 Ford GT Heritage Edition and a 2020 Toyota Supra. 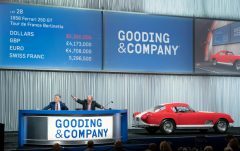 Barrett-Jackson raised $9.6 million for charity during the Scottsdale 2019 collector car auction series held January 12-20, 2019. 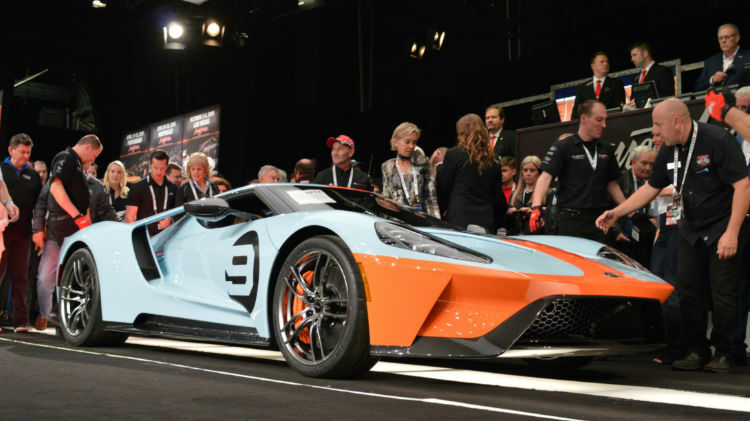 Top charity results at the auction included the 2019 Ford GT Heritage Edition VIN 001 that sold for $2.5 million, with 100 percent of the hammer price benefiting United Way for Southeastern Michigan, the 2020 Toyota Supra VIN 20201, which raised $2.1 million to benefit the American Heart Association and The Bob Woodruff Foundation, and the 2020 Ford Mustang Shelby GT500 VIN 001, which sold for $1.1 million to benefit JDRF. To date, Barrett-Jackson has raised over $114 million for charity. 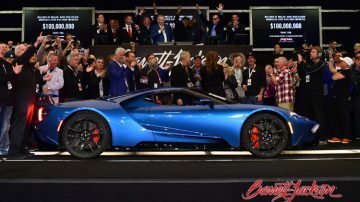 The 2019 Ford GT Heritage Edition VIN 001 (Lot #3012) sold for $2.5 million, with 100 percent of the hammer price benefiting United Way for Southeastern Michigan, which was purchased by Hendrick Motorsports owner Rick Hendrick. Featuring the same famous baby-blue-and-orange scheme worn by the Ford GT-40 that took down Ferrari 50 years ago, the package will also include the No. 9 graphics on the hood and doors, as well as a ghosted image on the interior door panels. 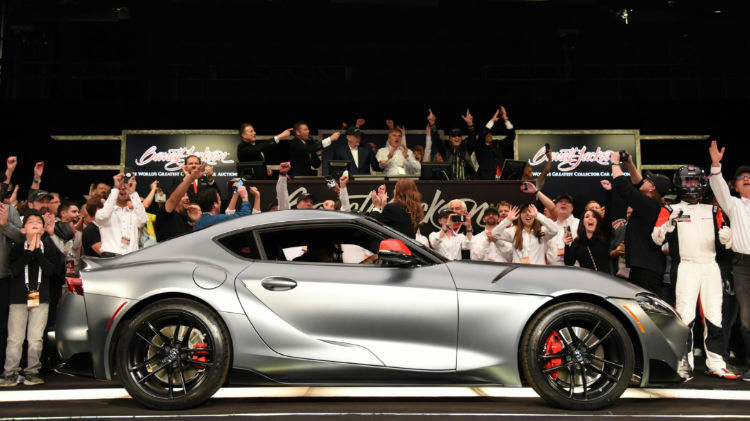 Barrett-Jackson teamed up with Toyota North America for the sale of the 2020 Toyota Supra VIN 20201 (Lot #3010), which raised $2.1 million to benefit the American Heart Association and The Bob Woodruff Foundation. The winning bidders of the first global production Supra were renowned collectors Jeanette and John Staluppi. VIN 20201 will be factory-finished with a matte gray exterior, red mirror caps and matte black wheels. 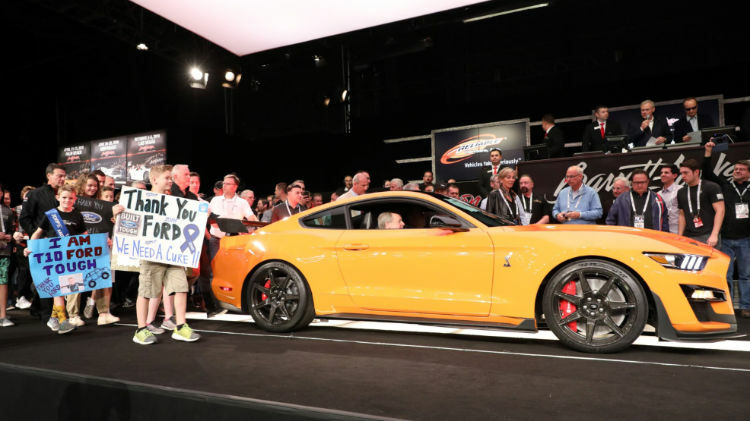 Carolyn and Craig Jackson were the winning bidders of the 2020 Ford Mustang Shelby GT500 VIN 001 (Lot #3008), which sold for $1.1 million to benefit JDRF. Four Chevrolet Camaros as seen in the Hollywood blockbuster movie franchise “Transformers,” sold as one lot on Saturday. The four Chevrolet Bumblebee Camaros were seen in “Transformers: Revenge of the Fallen” (Lot #3009), “Transformers: Dark of the Moon” (Lot #3009.1), “Transformers: Age of Extinction” (Lot #3009.2) and “Transformers: The Last Night” (Lot #3009.3). Sold as a group for $500,000 with an additional donation of $25,000, 100 percent of the sale benefited Operation Homefront, which helps build strong, stable, and secure military families.